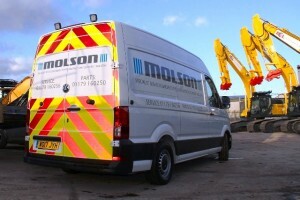 An acquisition in Scotland supported by long-term legal advisers TLT has continued Bristol-based Molson Construction Equipment’s fast-paced expansion. Molson, the UK’s largest independent construction equipment supplier, has taken over Finlay Scotland in a move that gives it the distribution rights for Terex Finlay mobile crushing, screening and conveying equipment across Great Britain. Last year the group acquired Stafford-based Finlay Plant and its subsidiaries, securing the distribution rights for the complete range of Terex Finlay machinery for England, Wales and the Channel Islands. The latest deal fills in the last remaining gap in its national Terex coverage by taking it into Scotland, where Molson has already acquired other business interests. 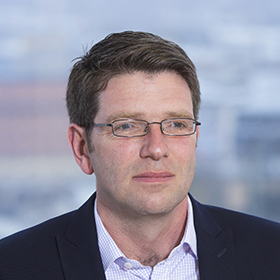 Bristol-headquartered national law firm TLT advised Molson on last year’s Finlay acquisition. This time it also supported Molson with the full transaction process, from due diligence and contract negotiation to completion, bringing in-depth knowledge of Molson’s business and also the wider UK industrials industry as well as advising on Scots law. The TLT team was led by partner and head of corporate John Wood, alongside chartered legal executive Nick Rains (corporate), partner Richard Turnbull and associate Pamela Sealey (Scotland real estate), and solicitors Andree Parker (pensions and incentives) and Fraser Vandal (employment). Molson financial director Jason Powles said: “TLT has been able to support us across the UK with specialist knowledge and understanding of our business and the market. They’ve been able to bring in the right specialists to support our needs as our business expands, and we’ve been really pleased with the service they provide. Last August Molson has received a £6.3m investment from BGF to support its growth strategy. Founded in Yatton in 1996 by Jonathan Wilson and Robin Powell, the business provides sales and aftersales services for heavy construction equipment – such as excavators, material handlers, crushers and loaders – to the construction, quarrying and waste management industries. The firm has grown organically and through acquisition and now operates from depots in Warrington, London, Kent, Stratford Upon Avon and Doune in Scotland as well as its head office at Avonmouth. It works with leading original equipment manufacturing brands and is the largest European dealer for Korean and Japanese excavators, including Hyundai, Kobelco and Ammann brands. Employing more than 200 people and with annual revenue more than £155m, Molson’s growth has been accelerated in recent years through acquisitions in the North of England and Scotland.